Want to stir things up around the house this summer? 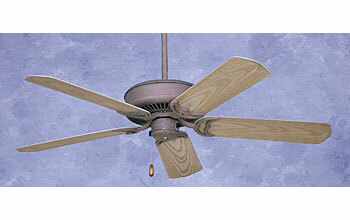 Add a ceiling fan. It's true stirring up the air will make you feel immediately cooler. 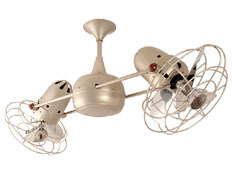 Ceiling fans work well in any home, thanks to a variety of design options. Ornate filigree blade holders offer a graceful, turn-of-the-century ambience. 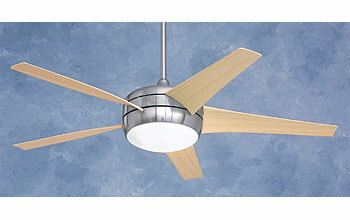 Brushed steel housing and light-colored maple blades offer the ultimate in contemporary styling. Classic polished brass finishes work well in more traditional homes.